The calendar says November, which means it’s time to start thinking about that turkey dinner! And also time to start bad-mouthing the neighbors who already have the Christmas lights up… ’tis the season! I’ve taken a liking to brining the bird for a couple days beforehand, which has turned out quite nicely. Brining results in an end product that’s extra moist due to osmosis and denaturing – the salt in the brining solution is absorbed into individual cells and retain extra liquid, and while it’s there, the salt essentially reshapes some of the proteins in the muscle fibers, which allows each cell to hold onto more liquid. I love when food and science collide. 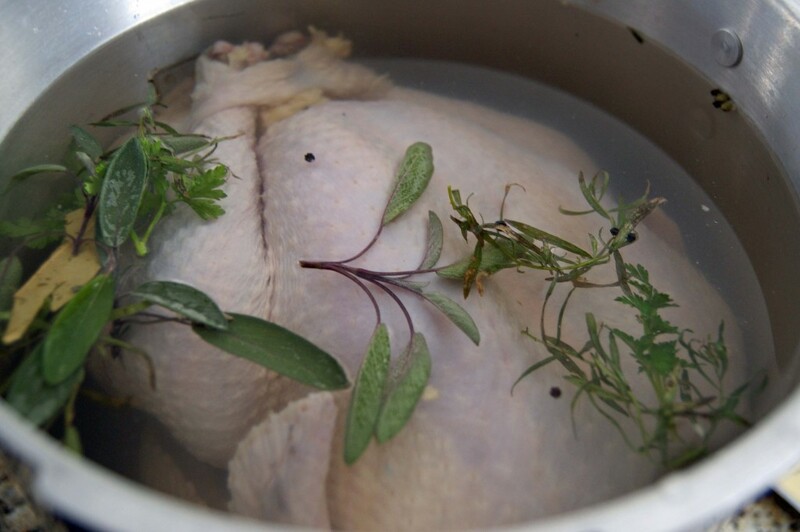 Put simply, to brine a turkey, you’re just going to stick it into a salt water bath for a day or so. Of course, you’ll need the right ratios and all that, but it really is that easy. 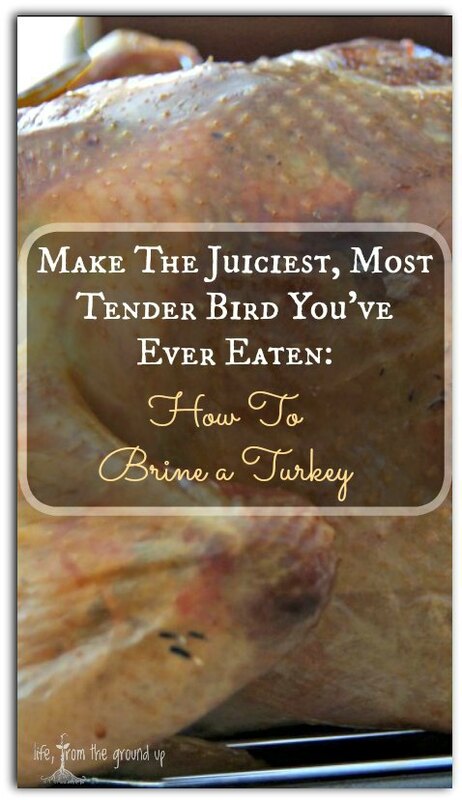 And make sure you have a good bird – most store turkeys are pre-“brined” in a yummy chemical solution, so find a good local source if you can. Remember, happy turkeys make the best dinners! Your basic brine ratio (adapted from Charcuterie) should look like this: one cup of kosher/pickling/sea salt for every gallon of water. 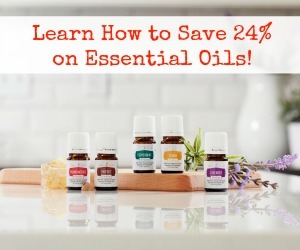 You can also add 1/4 – 1/2 cup of sugar per gallon, plus any number of other seasoning accoutrements. For a turkey, I’ll usually add a squeeze of lemon and a handful of some fresh herbs (thyme, sage, and tarragon are generally still available in the garden this time of year). Also of note: I end up doing about two gallons of brine for a 15-20 pound turkey, but this can vary depending on how wide or tall your pot is. In a large pot (remember, you’ll need to have room for a pretty big bird; I use our pressure canner, but any decent-sized stockpot should be fine), combine everything and bring to a simmer, stirring to dissolve. Remove from heat and chill. Submerge the turkey (needs to be thawed, so plan accordingly!) and let it sit – 24 hours for turkeys up to about 15 pounds, or 36 hours for a larger bird. Everything needs to stay cool; no room temperature brining. Fortunately, around Thanksgiving in Northeast Ohio, our unheated garage is hovering just above the freezing mark – just put it up to keep the dogs away! If you’re not so lucky (’cause who really wants it to be 70 and sunny this time of year? 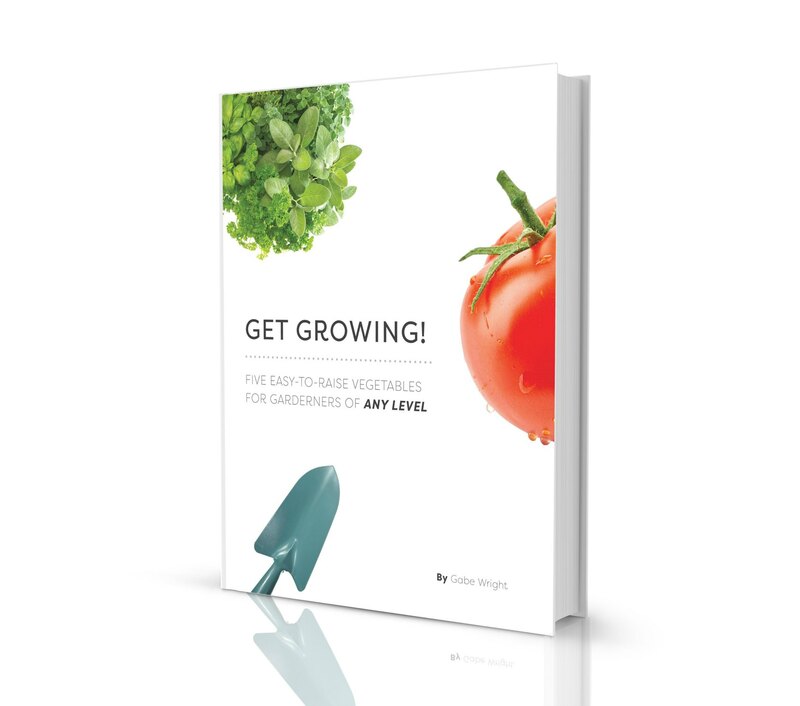 ), you’ll have to make room in the fridge. 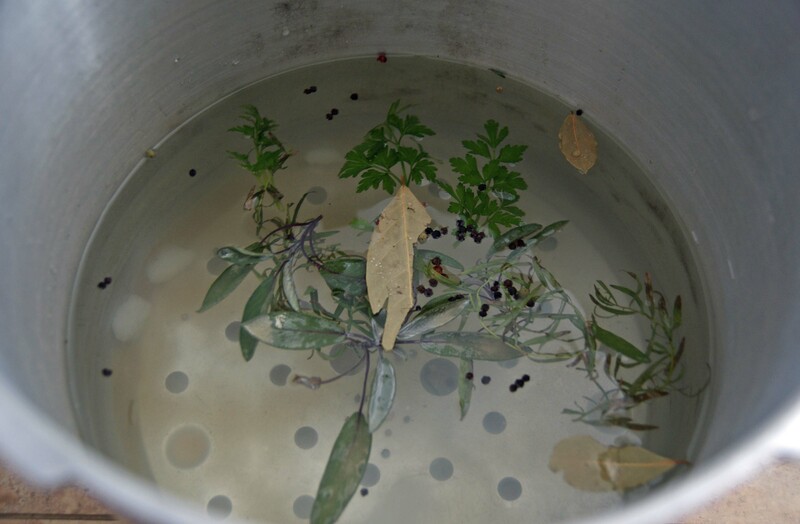 After the allotted brine time is up, remove the turkey from the pot and transfer to a large plate or platter. Let it rest in the fridge for at least a few hours, or up to a day – this allows everything to even out on the inside, and also to let the outside dry (which will result in a crisper skin). And finally the coup de grace: roasting it. If you have a tried and true method that’s been passed down through the family, stick with what works for you. I’ve only been doing this for a couple years, and I don’t want to mess with your own food traditions. I place the whole thing (untrussed, usually) breast-side down onto a roasting rack. Rub it with a little oil, then sprinkle with salt and pepper. Pop it into a 375 F oven for about 20 minutes, then reduce to 325 F. A rule of thumb is about 13-14 minutes per pound of bird, so our turkey usually ends up in the oven for about 2 1/2 hours. Internal temperature should be at least 165 F (use an instant-read thermometer for this). Combine all ingredients in a pot large enough to hold your turkey. Heat to a simmer, then cool. Add turkey to the brine, making sure it's fully submerged (the turkey needs to be thawed ahead of time!). Let it sit for 24 hours (under 15 pounds) or up to 36 hours (over 15 pounds) in a cool place, either the fridge or a cold garage/basement. 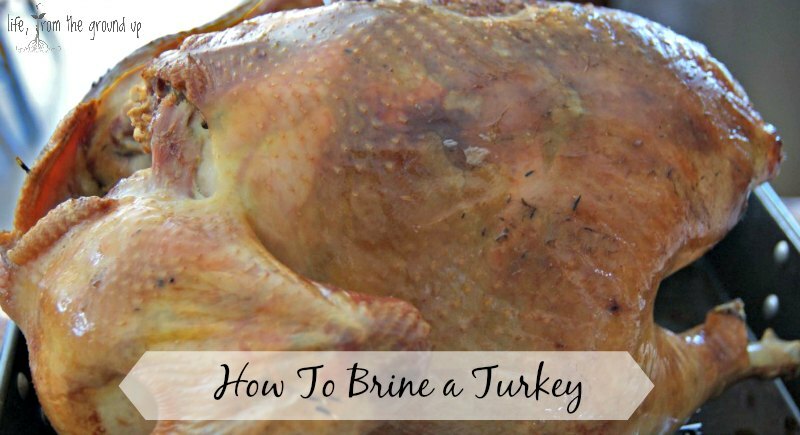 Remove the turkey from the brine and let rest (again, in a cool area) for at least several hours, or up to a day. Roast at 325 F for about 13 minutes per pound of bird, or cook it whatever way works for you! Thank-you for posting your recipe! I am going to brine my turkey–first time–this year. Have a wonderful Thanksgiving. Can you use Celtic sea salt or does it need to be kosher salt? You sure can… kosher, pickling, sea salt are all fine. I just try to stay away from regular iodized table salt.